Documents, audio, reconnaissance photographs, and other material from the historic 40th anniversary conference in Havana, Cuba. Washington, D.C., 31 October 2002-- Forty years ago today, the U.S. Navy forced to the surface a Soviet submarine, which unbeknownst to the Navy, was carrying a nuclear-tipped torpedo. 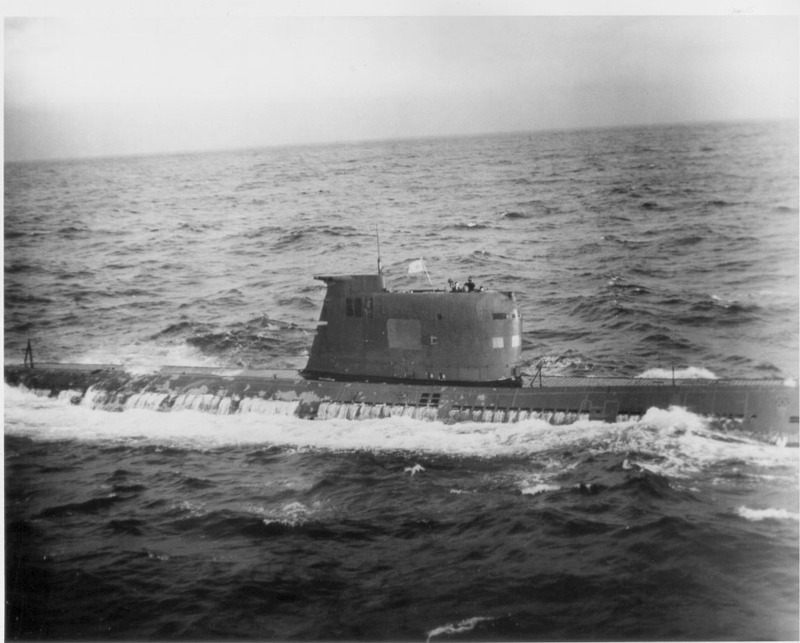 This was the third surfacing of a Soviet submarine during the Cuban Missile Crisis. After a day of persistent tracking by the U.S. destroyer, the Charles P. Cecil, commanded by Captain Charles Rozier, Soviet submarine B-36, commanded by Captain Aleksei Dubivko, exhausted its batteries forcing it to come to the surface. On 27 and 30 October respectively, U.S. Navy anti-submarine warfare (ASW) forces surfaced Soviet submarines B-59 and B-130. 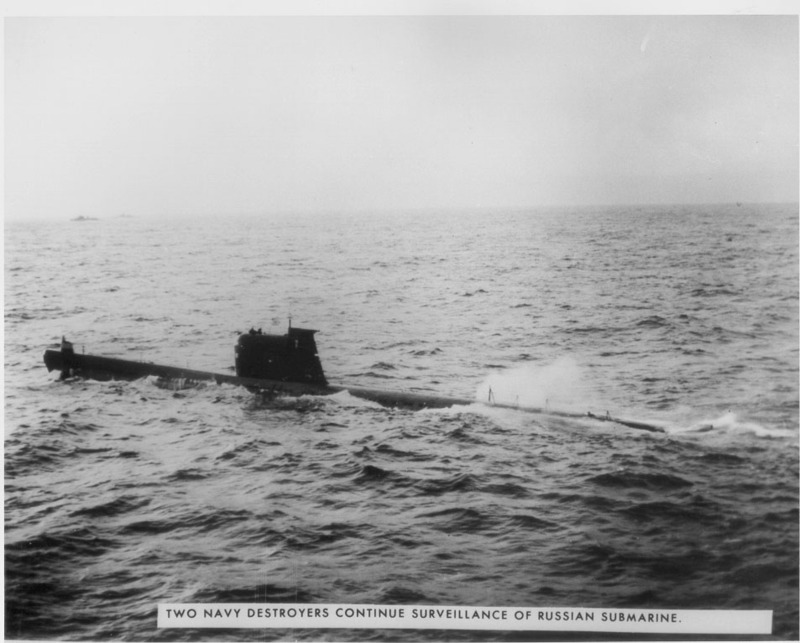 No one on the U.S. side knew at the time that the Soviet submarines were nuclear-armed; no one knew that conditions in the Soviet submarines were so physically difficult and unstable that commanding officers, fearing they were under attack by U.S. forces, may have briefly considered arming the nuclear torpedoes. 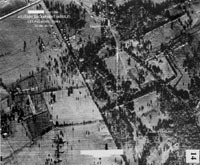 Indeed, one of the incidents--the effort to surface B-59 on 27 October 1962--occurred on one of the most dangerous days of the missile crisis, only hours after the Soviet shoot-down of a U-2 over Cuba and as President Kennedy was intensifying threats to invade Cuba. Possibly even more dangerous was an incident on submarine B-59 recalled by Vadim Orlov, who served as a communications intelligence officer. In an account published by Mozgovoi (see document 16), Orlov recounted the tense and stressful situation on 27 October when U.S. destroyers lobbed PDCs at B-59. According to Orlov, a "totally exhausted" Captain Valentin Savitsky, unable to establish communications with Moscow, "became furious" and ordered the nuclear torpedo to be assembled for battle readiness. Savitsky roared "We're going to blast them now! We will die, but we will sink them all." Deputy brigade commander Second Captain Vasili Archipov calmed Savitsky down and they made the decision to surface the submarine. Orlov's description of the order to assemble the nuclear torpedo is controversial and the other submarine commanders do not believe that that Savitsky would have made such a command. Soviet submarine commanders were highly disciplined and unlikely to use nuclear weapons by design, but the unstable conditions on board raised the spectre of an accident. Orlov himself believes that the major danger was not from the unauthorized use of a nuclear weapon but from an accident caused by the interaction of men and machines under the most trying of circumstances. Captain Joseph Bouchard, the author of a major study on Naval operations during the missile crisis, supports this point when he suggests that the "biggest danger" was not from "deliberate acts" but from accidents, such as an accidental torpedo launch. (8) If the Soviets had used nuclear torpedoes, by accident or otherwise, the U.S. would have made a "nuclear counter-response. "(9) U.S. aircraft carriers had nuclear depth charges on board, while non-nuclear components (all but the fissile material pit) for more depth charges were stored at Guantanamo Bay, Cuba (see document 49). Fortunately, the U.S. and Soviet leadership, from heads of state to naval commanders wanted to avoid open conflict; cool heads, professionalism, and some amount of luck, kept the crisis under control. The documents that follow, culled mostly from the U.S. Navy's operational archives,(10) show how U.S. destroyers and patrol aircraft pursued Soviet submarines during the crisis and after it had subsided, in November. 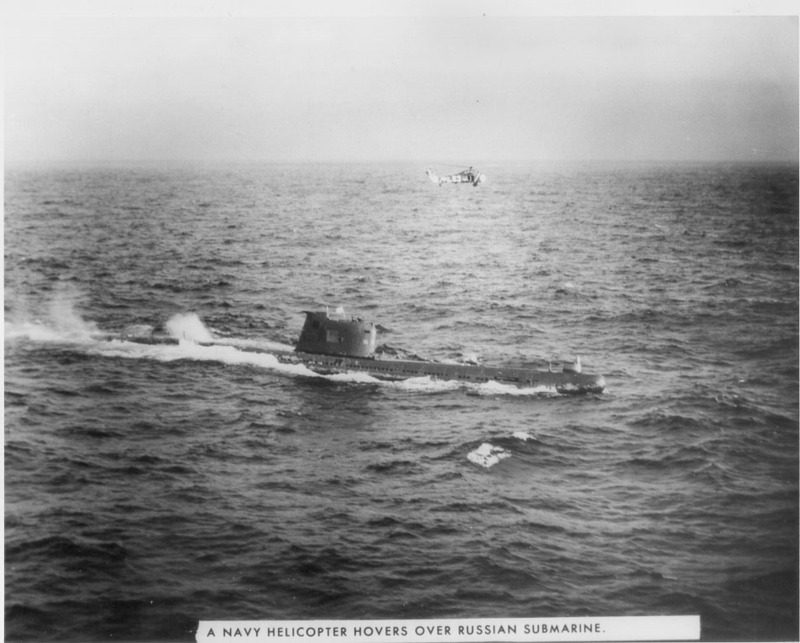 Some of the documents give an overview of the submarine tracking operation while others provide detail on the encounters with Soviet submarines in late October and early November. Of the four submarines that secretly left for Cuba on 1 October, the U.S. Navy detected and closely tracked three: 1) B-36, commanded by Aleksei Dubivko, and identified by the U.S. Navy as C-26 (and later found to be identical with another identified submarine C-20), 2) B-59, commanded by Valentin Savitsky, and identified as C-19, and 3) B-130, commanded by Nikolai Shumkov, and identified as C-18. 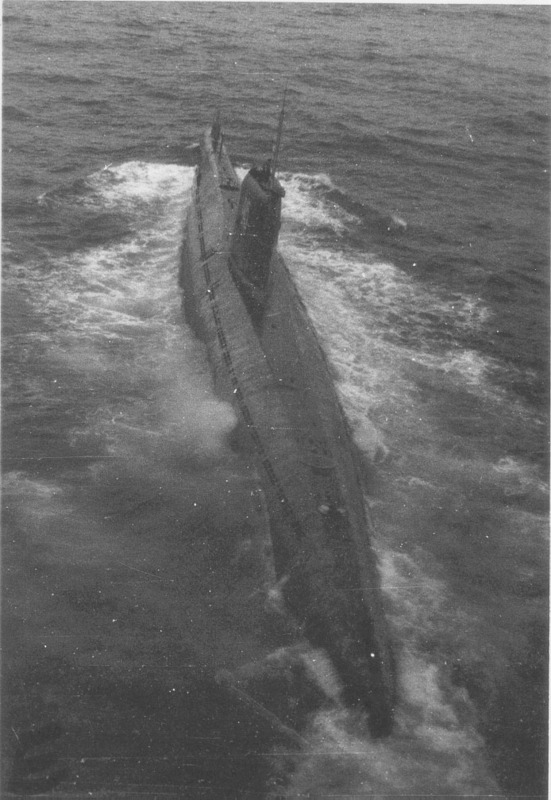 Only submarine B-4, commanded by Captain Rurik Ketov, escaped intensive U.S. monitoring (although U.S. patrol aircraft may have spotted it). In a major defeat of the Soviet mission, these three submarines came to the surface under thorough U.S. Navy scrutiny. 1. Report from General Zakharov and Admiral Fokin to the Defense Council and Premier Khrushchev on Initial Plans for Soviet Navy Activities in Support of Operation Anadry, 18 September 1962, describing arrangements to send to Cuba a squadron of submarines, including a brigade of torpedo submarines and a division of missile submarines, with two submarine tenders. Source: Volkogonoff Collection, Library of Congress, Manuscript Division, Reel 17, Container 26. Translated by Gary Goldberg for the Cold War International History Project and the National Security Archive. 2. Report from General Zakharov and Admiral Fokin to the Presidium, Central Committee, Communist Party of the Soviet Union, on the Progress of Operation Anadyr, 25 September 1962, indicating plans to equip the submarine brigade with one nuclear torpedo on each submarine and to send a nuclear attack submarine to protect the transport ship Aleksandrovsk. 1. Excerpt from meeting of the Executive Committee (Excom) of the National Security Council, 10:00 A.M.--11:15 A.M., 24 October 1962, during which President Kennedy and his advisers discussed the Soviet submarine problem and the Navy's procedures for signaling the submarines with practice depth charges. Source: Philip Zelikow and Ernest R. May, editors. The Presidential Recordings John F. Kennedy, The Great Crises, Vol. III (New York, W.W. Norton, 2001), pp. 190-194; John F. Kennedy Library, Boston, MA. 2. COMASWFORLANT (Commander, Anti-Submarine Warfare Forces, Atlantic) cable to Task Group 81.5 (Bermuda ASW Task Group), 24 October 1962, noting task group report on "probable" submarine sighting (probably C-18) and requesting patrol flights to find the submarine. 3. Commander TG 81.5 cable to task group elements, 25 October 1962, assigning "highest priority" to effort to track C-18, with a patrol squadron VP 45 assigned the task on a "continuing basis." 4. 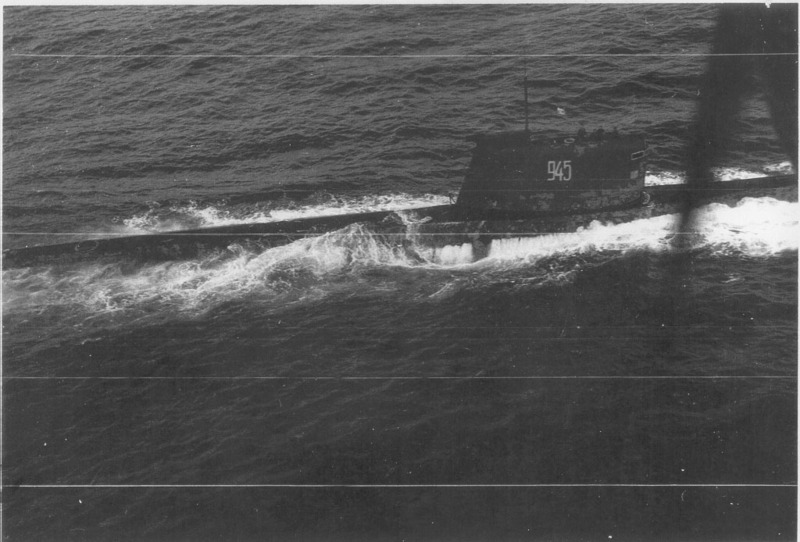 Commander TG 81.5 cable to COMASWFORLANT, 25 October 1962, noting that ASW squadron "Woodpecker Nine" made a visual sighting of a Soviet Foxtrot submarine, probably C-18. 5. CTG 81.5 cable to CTF 81 (Commander Task Force 81) (COMASWFORLANT), 25 October 1962, reporting on visual sighting of C-18 (Soviet submarine B-130). 6. "OpNav [Office of the Chief of Naval Operations] 24 Hour Resume of Events 250000Q to 260000Q", 26 October 1962, recounting blockade and ASW efforts as well as the preparation of forces for an invasion of Cuba. 7. CTG 136.2 (Commander, Essex Task Group) cable to COMASWFORLANT, 26 October 1962, confirming that submarine C-18, identified with hull number 945, dove after a sighting by ASW aircraft. 9. CINCLANT cable to AIG [Address Indicator Group?] 930, JCS, CINCARIB, et al., "Current ASW Status," 26 October 1962, showing visual sightings and SOSUS (sound surveillance system)(13) contacts with Soviet submarines--including C-18, C-19, and C-20--since 22 October. 10. CTU 81.7.9 (Element of Caribbean ASW Group/Roosevelt Roads Naval Station, Puerto Rico) cable to CTF 81 (COMASWFORLANT), 27 October 1962, summarizing "current ASW activity" in the vicinity of Guantanamo Bay (GITMO). 13. Deck Log Book [Excerpts] for U.S.S. Beale, DD 471, showing tracking and signaling operations, with use of practice depth charges (PDCs), and eventual surfacing of submarine C-19 on the evening of 27 October (local time). The Beale was part of the Randolph ASW task group 83.2. 14. Deck Log Book [Excerpts] for U.S.S. 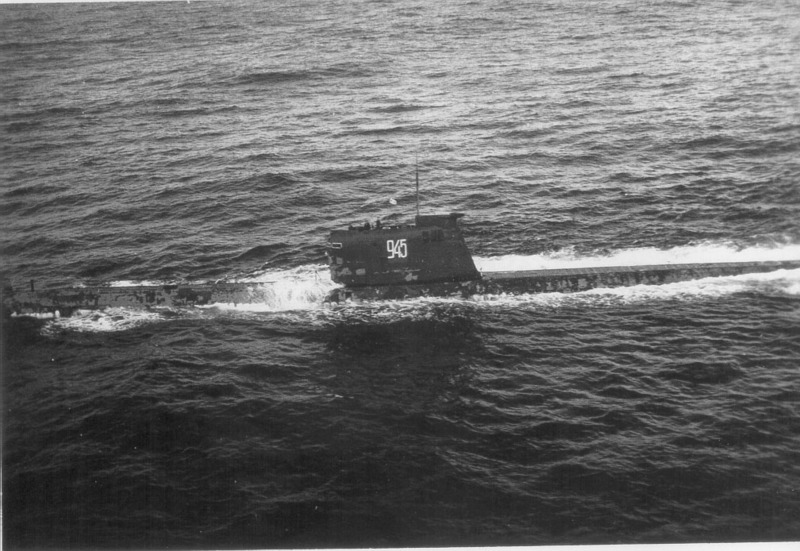 Cony, DD 508, also part of TG 83.2, showing its role in tracking, signaling, and surfacing submarine C-19. 16. Recollections of Vadim Orlov (USSR Submarine B-59), "We Will Sink Them All, But We Will Not Disgrace Our Navy," Orlov's account includes the controversial depiction of an order by Captain Valentin Savitsky to assemble the nuclear torpedo. Source: Alexander Mozgovoi, The Cuban Samba of the Quartet of Foxtrots: Soviet Submarines in the Caribbean Crisis of 1962 (Moscow, Military Parade, 2002). Translated by Svetlana Savranskaya, National Security Archive. 17. CTG 81.1 cable to CTF, "Appreciation SOSUS Activity from 271201Z-2843000Z," 28 October 1962, reporting that SOSUS system "total remaining above normal", including 6 contacts of Soviet conventional submarines: C-18, C-19, C-20, and C-23. 19. COMASWFORLANT cable to AIG 43, 29 October 1962, describing C-19 as "raising and lowering masts and snorkel indicating hydraulic difficulties and/or repairs." 20. COMASWFORLANT cable to AIG 43, 30 October 1962, reporting that the Barry lost contact with C-19 after it "went deep." 21. COMASWFORLANT cable to AIG 43, 30 October 1962, on surfacing of Foxtrot submarine C-18 (B-130), side number 945, late in the evening of 29 October at 2310Z (Greenwich meridian time). 22. CTG 136.2 (Essex Task Group) cable to COMASWFORLANT, 30 October 1962, reports that C-18 "remaining on the surface." 23. COMASWFORLANT cable to AIG 43, 30 October, reporting that C-18 [B-130] submerged early in the morning at 3000622Z, but that destroyers and aircraft were holding sonar (sound navigation and ranging)(15) and MAD contacts. 24. U.S.S. Speed Cable to COMASWFORLANT, 30 October 1962, on MAD and sonar contacts with Soviet submarine C-26 (B-36), although "have not attempted special surfacing signals viewed as part of lifted quarantine." 25. U.S.S. C.P. Cecil cable to COMASWFORLANT, 30 October 1962, reporting B-36 [C-26]'s "strong attempt [to] break contact ... in radical course changes and speeds to 15 [knots] and false echo cans." 27. CTG 136.2 to COMASWFORLANT, 31 October 1962, reports surfacing of C-18 [B-130] after 14 hours of continuous contact by destroyers and patrol aircraft. "Sub was evasive using decoys, depth changes, backing down" but "sonar contact [was] never lost." After surfacing, submarine stated its number as 945 and stated that it needed no assistance. 28. Deck Log Book [Excerpts] for U.S.S. Blandy, DD 943, which played a critical role in the surfacing of C-18 (B-130). Source: RG 24, Deck Logs 1962, Box 91. 30. U.S.S. C.P. Cecil cable to COMASWFORLANT, 31 October, on efforts to hold contact with submarine C-26 [B-36] whose "evasive tactics" were increasing. "Submarine launched false target cans at least three occasions." 31. U.S.S. Aldebaran cable to COMASWFORLANT, 31 October 1962, reports on surfacing of C-26 [B-36] at 11054Z. The U.S.S. Cecil will monitor the submarine whose crew was "taking turns airing topside." The term "xmas" found in paragraph 4 stands for "unknown non-American submarine." 32. Aleksei F. Dubivko, "In the Depths of the Sargasso Sea"
33. CTG 81.1 cable to CTF 81, 31 October 1962, "Appreciation of SOSUS Activity from 301301Z to 311300Z," reports high detection visibility although a decrease in SOSUS contacts. 34. CINCLANT cable, to JCS, 1 November 1962, "Summary of Soviet Submarine Activities in Western Atlantic 271700Z to 311700Z," reviews previously reported and new submarine contacts through Jezebel, LOFAR (low frequency analysis and recording), and other detection systems. 35. U.S.S. C.P. Cecil cable to COMASWFORLANT, 2 November 1962, reports that the Cecil is keeping watch of C-26 [B-36], whose crew "worked on fittings under superstructure deck." C-26 submerged later in the day (see document 36). 36. Deck Log Book [Excerpts] for the U.S.S. Keppler, which monitored C-18 in early November. 37. CTG 135.1 cable to COMASWFORLANT, 3 November 1962, providing status report on contacts with C-21 : "our attitude has changed from confidence to frustration to doubt as the nature of the contacts varied. My present evaluation [is] that the original contact was a positive sub sighting." 38. COMASWFORLANT cable to AIG 43 et al., 3 November 1962, on the status of C-18, C-19, C-21, and C-26, among other contacts. 39. U.S.S. Zellars cable to COMASWFORLANT, 4 November 1962, on unsuccessful efforts to track C-21. 40. Special Report of the CNO Submarine Contact Evaluation Board As of 5 November 1962," 5 November 1962, showing confirmed sightings of Soviet submarines, but noting that contact C-21B is "tentative" because of a "lack of confirming evidence." 43. U.S.S. Keppler cable to COMASWFORLANT, 8 November 1962, on continued monitoring of C-18 (B-130), which appears to be experiencing "mechanical difficulty in separating fuel from water for diesel engines." 44. COMASWFORLANT cable to AIG 43, 9 November 1962, on rendezvous by C-18 (B-130) with an unidentified surface ship, probably Russian tugboat, Pamir. 45. U.S.S. 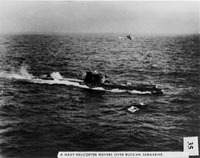 Keppler cable to COMASWLANT, 9 November 1962, on C-18's unsuccessful attempts to submerge. 46. COMASWFORLANT cable to CTG 81.9, 9 November 1962, reporting that if Soviet tugboat Pamir is escorting and C-18 and both "are homeward bound", surveillance operation will soon end. As it turned out, the Pamir towed C-18 (B-130) back to port near Murmansk, a three-week voyage. 47. Carrier Division Sixteen, "Report of ASW Barrier Operations During the Cuban Missile Crisis by Group Built Around Randolph," 14 December 1962, describing aerial patrol efforts to track C-19. During one of the helicopter operations on 27 October, after PDC "surfacing signals exploded," sonar picked up noise caused by hatches slamming shut "leaving no doubt that we had a submarine contact." 48. Commanding Officer, Patrol Squadron Five, "Report of Support of Cuban Missile Crisis Operations," 15 December 1962, showing surveillance efforts against Soviet submarine C-26, which surfaced because its "undersea capability ... had been evidently exhausted through continued restriction of its movement by air and surface units since the evening of 29 October 1962." The following charts showing ship deployments and movements on each day of the Cuban missile crisis were the work of "Flag Plot" and "ASW plot," special components of the office of the Chief of Naval Operations. With these charts, formerly classified "Top Secret", one can track the massive buildup of blockade and invasion forces during the days after 22 October as well as the systematic effort to locate Soviet submarines and other Soviet ships. As the intensity of the crisis grew, the demands of senior officials for more timely information led Flag Plot to produce these charts four times daily; as the crisis ebbed, however, charts were produced only once a day. 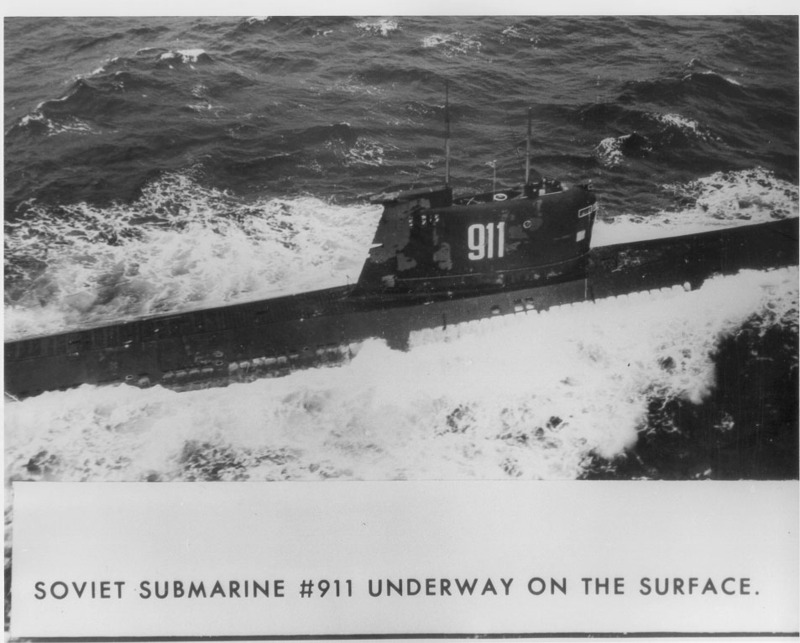 As the details of submarine sightings accumulated, by the end of October CNO staffers began to produce a daily "ASW Plot" chart that included brief summaries of encounters with Soviet submarines. Source for charts: Washington Navy Yard, U.S. Naval Historical Center, Operational Archives, "Flag Plot Cuban Missile Crisis" files: "Op-Sum Oct 62" and "Op-Sum Nov 62"
28. "Cuba ASW Plot As of 300000R Oct 62"
32. "Cuba ASW Plot As of 310000 R Oct 62"
36. "Cuba ASW Plot As of 010000 R Nov 1962"
39. "Cuba ASW Plot as of 020000 R Nov 62"
42. "Cuba ASW Plot As of 030000 R Nov 1962"
44. "Cuba ASW Plot as of 040000R Nov 1962"
47. Caribbean As of 5 Nov. 1962 0600R48. "Cuba ASW Plot As of 060000R Nov 1962"49. "Cuba ASW Plot As of 070000R Nov 1962"
Source: collection of Dino Brugioni, former senior officer, National Photographic Intelligence Center (NPIC). 1. For one of the most significant studies of naval operations during the crisis, see Joseph Bouchard, Command in Crisis: Four Case Studies (New York, Columbia University Press, 1992). 2. For Mozgovoi's book, see Anatoly Yurkin, "Book on actions of Soviet subs during 1962 Caribbean crisis," Tass, 19 June 2002. 5. For press coverage of these revelations as well as of the Havana conference, see "Soviets Set to Fire," Sunday Herald Sun (Melbourne), 23 June 2002; 'How Cuban Crisis Put World Minutes from Nuclear Oblivion," The Scotsman, 13 October 2002, and "Soviets Close to Using A-Bomb in 1962 Crisis, Forum is Told," The Boston Globe, 13 October 2002, and "Forty Years After Missile Crisis, Players Swap Stories," The Washington Post, 13 October 2002. 6. For details, see Bouchard, Command in Crisis, pp. 120-121. See also Office of the Chief of Naval Operations, "The Naval Quarantine of Cuba, 1962", 1963, posted at <http://www.history.navy.mil/faqs/faq90-5.htm>. For the ExCom meeting, see Philip Zelikow and Ernest R. May, editors. The Presidential Recordings John F. Kennedy, The Great Crises, Vol. III (New York, W.W. Norton, 2001), pp. 190-194. 8. Interview with Vadim Orlov by Svetlana Savranskaya, National Security Archive, 17 October 2002, Moscow; Captain Joseph Bouchard, communication with editor, 16 September 2002. Indicating what can go wrong, Bouchard cited the accidental launching of a torpedo by a Soviet destroyer during a NATO exercise in October 1983 and a torpedo inadvertently accidentally launched by a U.S. Navy frigate in December 1983. See London Times, 8 October 1973, and Washington Post, 20 December 1983. 9. Telephone interview with Rear Admiral Carl J. Seiberlich (retired) by William Burr, 14 September 2002. 11. Alexander Mozgovoi, The Cuban Samba of the Quartet of Foxtrots; interviews with Alexander Mozgovoi and Vadim Orlov by Svetlana Savranskaya, National Security Archive, 16 and 17 October 2002, Moscow. 12. Magnetic anomaly sensors are "used to detect the natural and manmade differences in the Earth's magnetic field. "; the passing of large ferrous objects such as ships and submarines passing through the earth's magnetic field can produce detectable changes. To detect a change or anomaly an ASW aircraft mut be practically overhead or very close to a submarine's position. See Federation of American Scientists, Military Analysis Network, "Air Anti-Submarine Warfare," <http://www.fas.org/man/dod/-101/sys/ac/asw.htm>. 13. SOSUS is the Navy's strategic underwater network of passive sonar (sound navigation and ranging) detectors and hydrophones deployed on the ocean floor to detect and differentiate submarine noise from normal oceanic background sound. The hydrophones are deployed at major natural choke points that the shipping of adversaries is forced to use. An early SOSUS station was established in the Bahamas. See S. F. Tomajczk, Dictionary of the Modern United States Military (Jefferson, North Carolina, McFarland & Company, 1996). 14. Julie and Jezebell are types of sonobouys that use sonar technology to detect a submarine either actively (through reflected acoustical pulse), or passively, by detecting sound, for example, with hydrophones. Most sonobouys are small and cylindrical in shape and are distributed by aircraft or ships. Julie sonobouys release charges that explode at predetermined depths to provide echo-ranging data, while Jezebel sonobouys are airborne devices that can detect low-frequency sounds originating from underwater sources of energy. See Tomajczk, Dictionary of the Modern United States Military, for entries on SONAR, sonobouys, Jezebel and Julie. 15. See note 11 (above). 16. Huchthausen, October Fury, p. 234. 17. Standing for Quebec, Q signified Eastern Daylight Time plus four hours. An explanation of changes in the time scheme is unavailable; see Office of the Chief of Naval Operations, "The Naval Quarantine of Cuba, 1962", p. 1. 18. Standing for Romeo, R signified Eastern Daylight time plus five hours.